This week, Mr Kerekes and I spent Monday evening watching—no, not the Queen’s Jubilee celebrations—Eric Steel’s The Bridge. There’s been a lot of talk of death film in the Kerekes-Wallis household lately, with the breaking case of alleged pretty-boy psycho Luka Magnotta coming just in time for putting the finishing touches to the new edition of Killing for Culture. The press have been walking the usual confused tightrope between sickened condemnation and prurient fascination, their lengthy descriptions of the video allegedly linked to Magnotta and the whole affair itself interspersed with copious references to website Best Gore, where the video was initially posted and whose site traffic has no doubt been higher than ever before. More than one journalist has referred to that tape as a ‘snuff movie’, raising the crucial issue of what snuff actually consists of. Is it, as in classic urban mythology, a film made for monetary gain? Is it still snuff when the gain is less tangible—such as the notoriety craved by individuals such as, supposedly, Magnotta? How do we reconcile videos like 1 Lunatic 1 Ice Pick with the Daily Mail‘s weekly doses of graphic photos of the latest Mexican gang hit, or with grainy footage of hostages executed in the name of politics? And what about non-violent, sans gore images of death? Of terminally ill patients slipping quietly away in Dignitas clinics (as in 2011 TV documentary Terry Pratchett: Choosing to Die)? Or, indeed, of artefacts like The Bridge? The Bridge occupies a weird slot in the death film canon, billed as a thoughtful documentary on ‘the last taboo’: suicide. Director Steel and his team set up cameras at multiple locations next to San Francisco’s Golden Gate Bridge, filming the people that crossed it for a year. It was the people who didn’t cross the bridge, however, that film focuses on. Having captured twenty-three of the twenty-four suicides that took place during 2004, Steel interviews the friends and families of the deceased, as well as some of those who became unwitting witnesses to the final moments of someone’s life. Film 4 dubbed the film ‘moving and often strangely poetic’, and indeed it has its fair share of romantic tropes, with shots of mist shrouding the bridge set to calculatedly poignant piano music. Alongside this, though, are much more starkly realistic images, of individuals clambering over the bridge’s low barrier and falling over 200 feet into the depths of the bay. The question of intervention runs throughout the film, touching on both passers-by and the film crew themselves. One of the most shocking elements of the film is the sheer number of people who seem not to notice another person climbing over the edge of the bridge; an exception to the rule is one man who hauls a girl back over the barrier and holds her down until police arrive. Remarkably, this was apparently the only such instance of bystander intervention that Steel witnessed over the course of the year. He is quick to point out in interviews about the film that his crew always tried to prevent a suicide when they spotted someone contemplating the jump, and saved six people in all—one multiple times. The decision to jump from the bridge is, for many of the people in the film, not an impulsive act but the consequence of many years of mental illness. However, despite Steel’s claim that The Bridge ‘offers glimpses into the darkest, and possibly most impenetrable corners of the human mind’, there is little meaningful discussion of depression, of medical help available or of understanding the decision to commit suicide, and this ties in with the general sense of inevitability that the film often conveys. It may be your right to kill yourself, to make that ultimate decision, but should this profoundly personal event be immortalised on film for all to see? 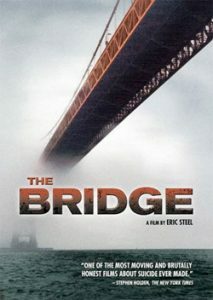 The Bridge does have important ramifications—highlighting the effect of suicide on those left behind, the isolation felt by many in modern society, and the long-debated issue of whether the Golden Gate Bridge should be modified to prevent future suicides—but it is the act itself which becomes the central point of the film. 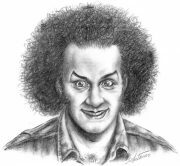 Like the archetypal snuff film, it is the moment of death that provides the climactic scene, as thirty-four year old Gene Sprague jumps up onto the railing and without hesitation falls backwards into the water below. His frequent appearance throughout the film, strolling along the bridge and casually staring out to sea, sets up his death as a thing to be anticipated and—as the most dramatic of the jumps depicted—becomes the film’s not-so-subtle money shot.